This article originally appeared on Seeking Alpha on January 12, 2018. An Earnings Power Valuation indicates that CRUS is trading at a discount. Massive investments in R&D have stimulated growth. Revenues have doubled since 2013. Unfortunately, dependence upon Apple raises red flags. Cirrus Logic (NASDAQ:CRUS) dropped nearly 3% in Wednesday’s trading, and the price decline inspired me to investigate a potential buying opportunity. Cirrus Logic certainly looks like a cheap stock cast adrift from frothy NASDAQ shores. The PE ratio for the Austin, Texas, company stands at 13 times 2017 earnings. The $3.26 billion market cap represents 2.72 times book value. CRUS has no debt and $329 million of cash on the books. There aren’t many high-quality technology companies that sport such reasonable metrics. Two schools of thought have taken shape among recent discussions on Seeking Alpha: The bullish story emphasizes the company’s cutting edge semiconductor technology that provides the heavy lifting for audio and voice applications. The proliferation of sophisticated mobile devices has propelled growth at CRUS from $800 million in sales during 2013 to over $1.6 billion today. Operating profit margins have jumped from 25% to over 40% in three years. Returns on capital exceed 30%. The skeptics believe that CRUS is far too dependent on a major customer: Apple (AAPL). The electronics giant accounts for nearly 80% of sales. There is probably no finer horse to hitch your wagon to than Apple. But Apple is no Clydesdale. It’s a thoroughbred. And even the finest champions have been known to change jockeys from race to race. Although I am attracted to Cirrus Logic, I ultimately side with the skeptics. The Apple dependence is too much of a concern. I look at it in a very simplistic way: why would I own a company that has specialization in a critical segment of the market but is dependent upon a single customer when I can buy the customer itself? In Apple, I would be buying the thoroughbred with a far more diversified stable of products, millions of loyal customers, and perhaps the finest brand name in the world. Just buy Apple is my verdict. Nevertheless, attractive metrics merit further exploration. For my valuation exercise, I decided to employ the Earnings Power Valuation (EPV) model, championed by Bruce Greenwald at Columbia University. 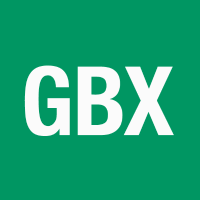 Greenwald’s method is fairly straightforward: Identify the stable free cash flow of the business and divide the number by the weighted average cost of capital to arrive at a value. 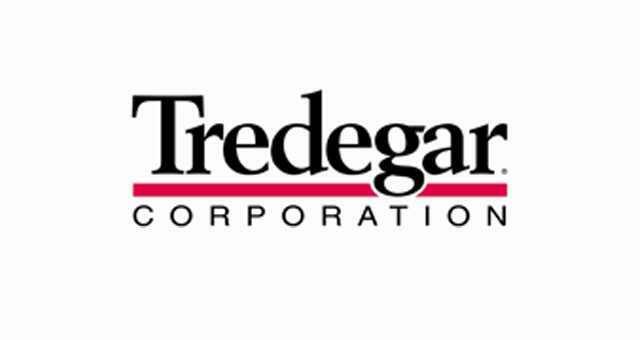 The company will produce revenues of over $1.6 billion in the fiscal year, which ends in March of 2018. Gross profits should come in around $830 million. 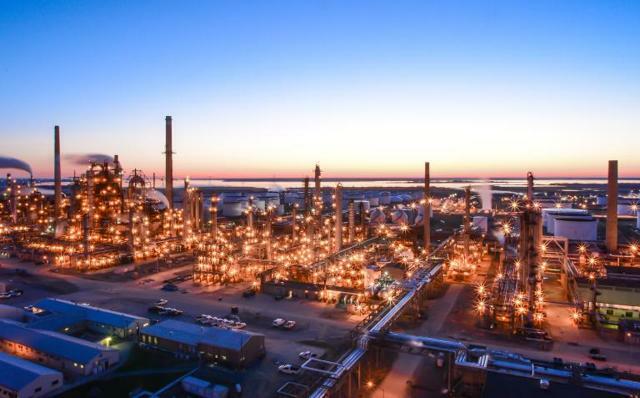 Operating income was $317 million in 2017 and will likely exceed $366 million in FY 2018. One number caught my eye: the company spends over $300 million per year on research and development. 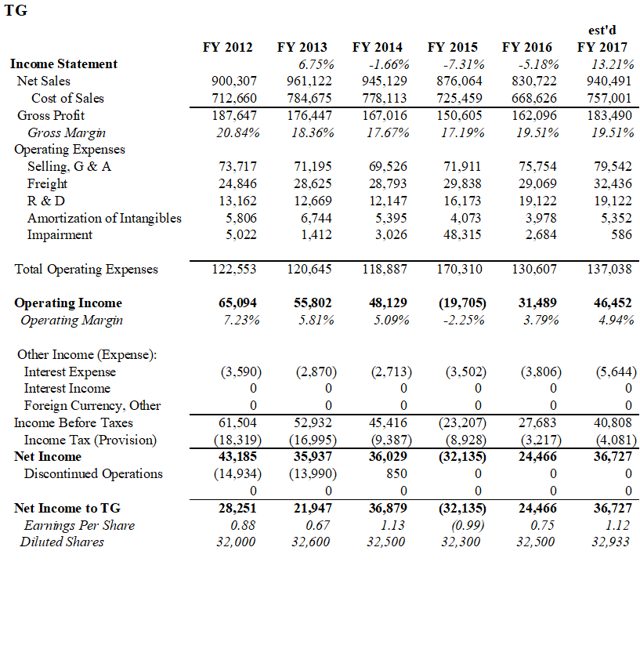 This amounts to over 49% of gross profit. Accountants treat R&D as an expense. However, research and development is a critical driver of growth and is more closely akin to capital investment. The continuous enhancement of voice and audio technologies through large investments in R&D explains why the world’s most famous mobile device company partners with CRUS. I capitalized recent research and development expenses at CRUS to produce an additional $750 million in assets. In the process of adjusting free cash flows for R&D, the annual expenditure is added back and a portion of amortization is subtracted. 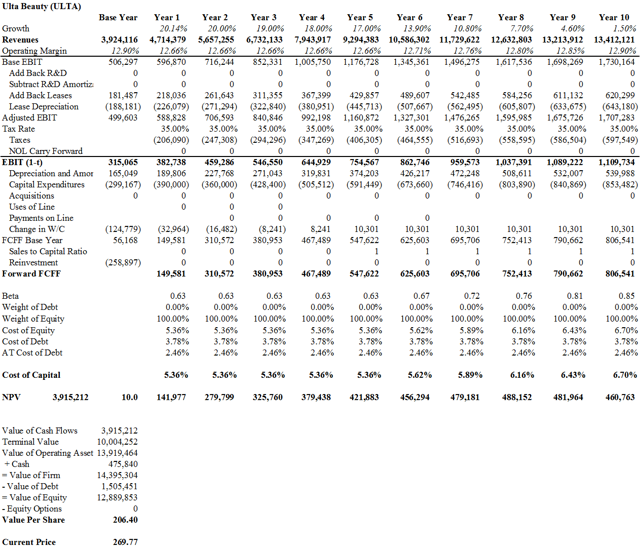 I gave the R&D asset a straight-line amortization of four years. 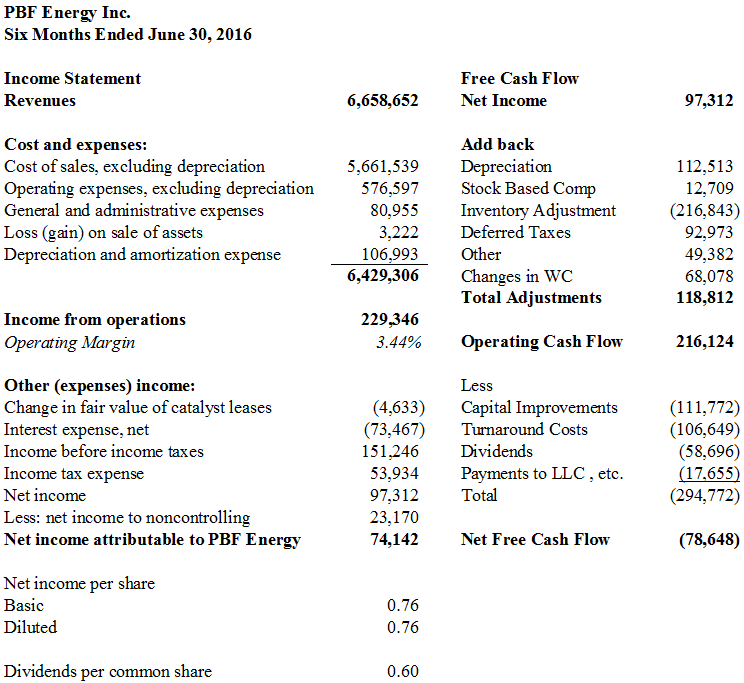 The net effect is a $100 million boost to free cash flow. The amount of research and development invested by CRUS is a strong vote in the bullish column. Meanwhile, share-based compensation (SBC) posed a challenge for me. Like most tech companies, CRUS offers a large portion of compensation in the form of restricted stock units and options. The number paid in the form of non-cash stock benefits will exceed $40 million in 2018, or just over 10% of operating expenses. The customary process in the Greenwald model is to add back SBC because it is a non-cash expense. This effectively raises the value of the business. The model treats the value of the options and restricted stock much in the same way as debt, and it gets subtracted after the value is determined. Buffett is a famous naysayer against the practice of removing share-based compensation when valuing a business. Compensation is an expense, pure and simple. I tend to agree, but I decided to add back SBC since grants and options are such a traditional means of paying employees in the technology industry. So, if large share awards to employees are such a common occurrence, then why does it bother me? Probably because management has touted its recent share purchases of about $100 million. It indicated another $80 million in buybacks were forthcoming. Unfortunately, this amount merely seems to be keeping pace with the issuance of shares for options and grants. The share count has barely budged despite recent buybacks. In this case, the argument that share-based compensation is a non-cash item loses its validity. Real cash is being expended to keep the float from increasing. Turning my attentions to the weighted average cost of capital was much more difficult. Greenwald prefers a calculation that takes an equity risk premium above the company’s cost of debt. Most other models employ beta to measure the risk associated with a particular stock. Greenwald argues that beta is a better measure of volatility than risk. In other words, just because a stock price fluctuates, it doesn’t necessarily mean the underlying business is riskier. Cirrus Logic, however, has no debt. 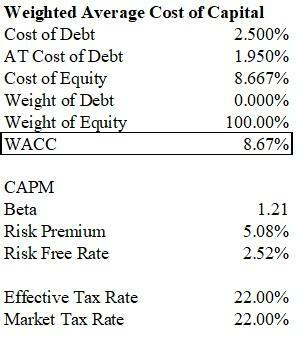 I reluctantly decided to calculate the cost of equity using the capital asset pricing model which employs beta. In the case of CRUS, the beta is .85 vs. a market beta of 1.0. This has the overall effect of reducing the company’s cost of equity to 6.84%. This results in an earnings power value of $78 per share. 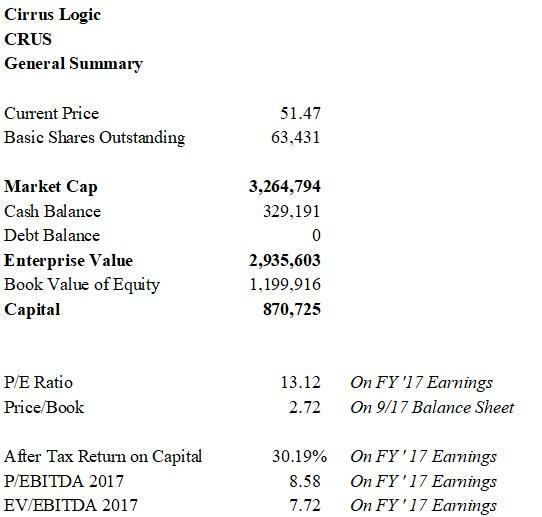 Cirrus Logic appears to be selling for a discount of 34% to its current market price. But wait – not so fast. 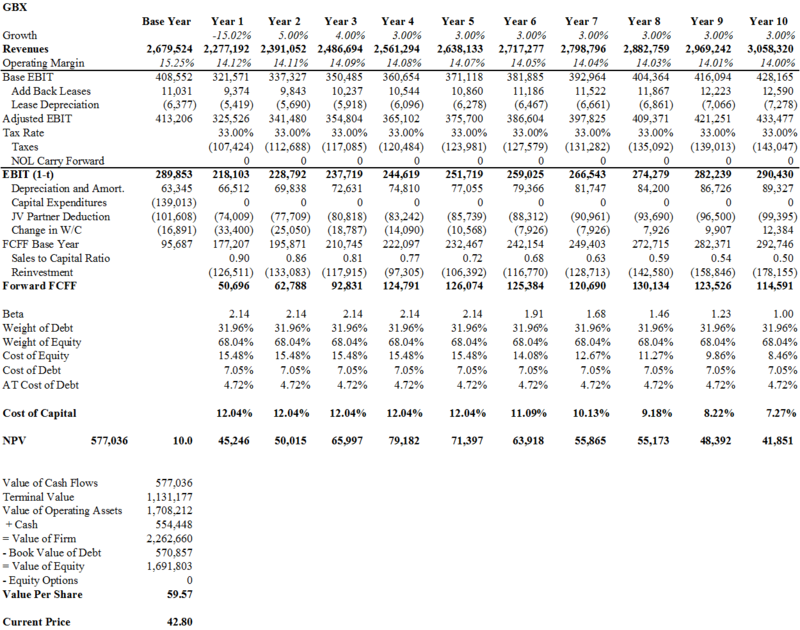 It made no sense to me that CRUS should have a lower cost of equity than the customer that makes up 80% of its revenues. What is the beta for Apple? 1.21. Applying Apple’s beta to the cost of equity raises the cost of capital for CRUS to 8.67%. The result is a share value of $62. A share price of $62 is more sensible on a P/E multiple basis than the $78 value I initially modeled. 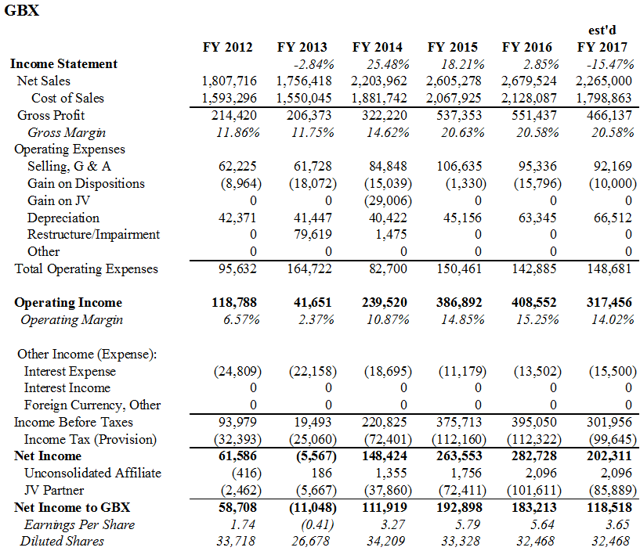 If the company earns $4.30 on a diluted basis in FY 2018, the P/E will be 14.4. The $78 per share number produced by the .85 beta pushes the P/E to the dubious level of 18. Yet, $62 does indicate that there is potential for 17% upside. Is that enough of a discount to entice me into the water? I am tempted to purchase CRUS, but the dependence on Apple is far too heavy. 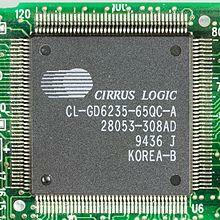 In fact, one could easily argue that the cost of equity for Cirrus Logic should be much higher than Apple. If I saw that CRUS was available below $45, I would purchase shares. I desire a 30% discount to the earnings power valuation to provide a sufficient margin of safety. I have painted a picture of some kind of giant axe emblazoned with the Apple logo poised to strike. This fear is overblown. 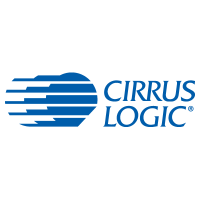 Cirrus Logic has proven technology and investments for the future are consistently growing. 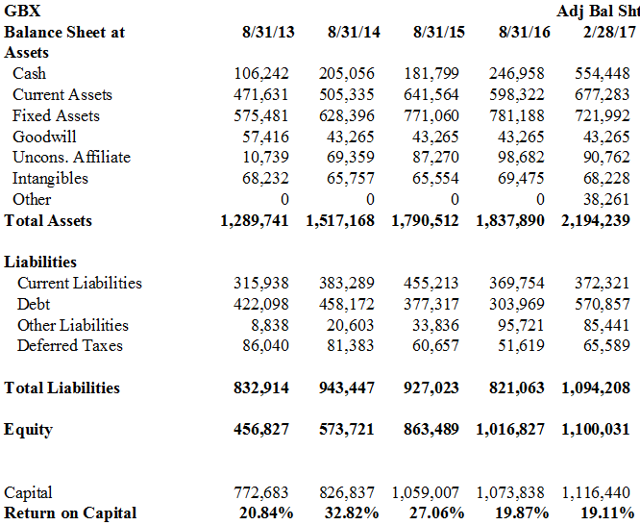 The balance sheet is pristine, and management is not complacent. As much as Cirrus depends on Apple, Apple needs Cirrus and its robust audio and microphone technology. Barring a catastrophic failure, it seems unlikely that Apple would dump Cirrus in one fell swoop. A day of reckoning is probably years in the distance. In the meantime, leaders at Cirrus can focus their energy on increasing the quality of their wares, diversifying the customer base, and making skillful acquisitions. 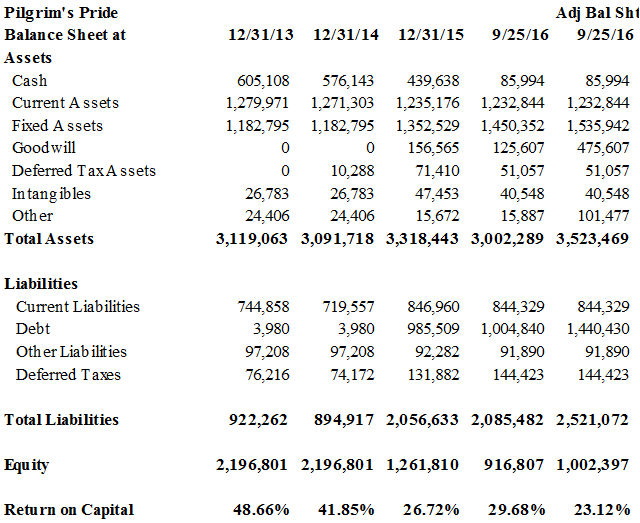 With $0 debt and over $400 million in annual cash flow, CRUS has a lot of strengths to work with. My concern is therefore less about the sudden death of a customer relationship than the slow loss of breath from such a tight embrace. I recall those famous stories of Wal-Mart (NYSE:WMT) when they would invite all of their suppliers to an arena in Bentonville for a big showroom display and price negotiation. They would literally turn up the heat in the building while negotiating the contracts. Wal-Mart always had the leverage. The beads of sweat on the brows of the suppliers just hastened their capitulation. What seems more likely to me is that, in the event of a slowdown in handset sales, Apple could hungrily eye Cirrus Logic’s 40% operating margins, fat share compensation packages, and a paucity of other customers as an opportunity to negotiate price concessions. If there’s a slowdown in the handset market, CRUS will start to sweat. This article originally appeared on Seeking Alpha on February 7, 2017. PPC traded at $18.68. I exited my long position on April 25 at $25.50. 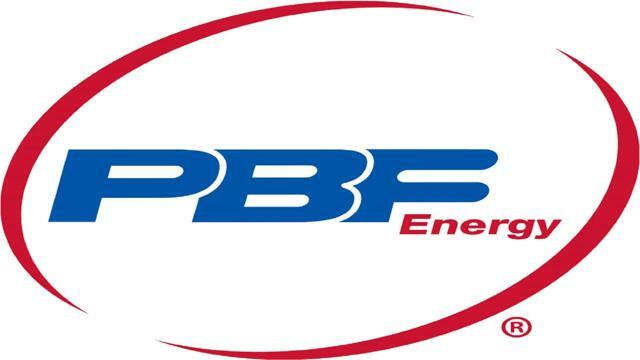 PPC boasts a hefty return on capital and a recent acquisition will boost sales. Earnings power valuation indicates a stock with 15% upside potential. Buyers should be wary of declining margins. 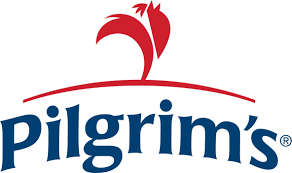 Pilgrim’s Pride (NYSE:PPC) is the second largest poultry producer in the world. The Greely, Colorado corporation boasts that it supplies 1 out of every 5 chickens in the US. The company has a market capitalization of nearly $4.6 billion. 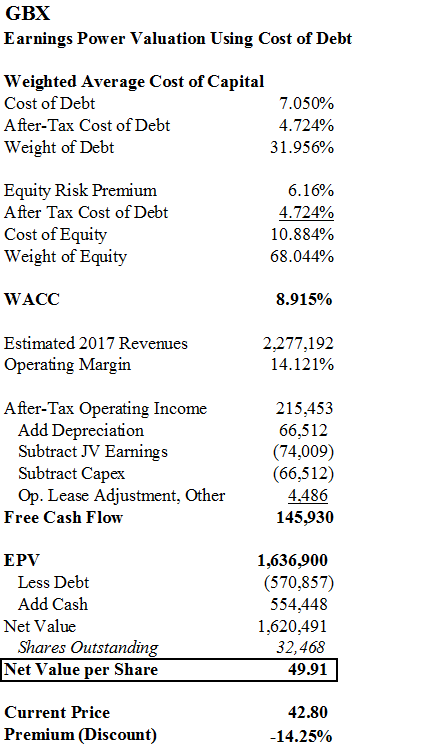 I have decided to focus on two valuation metrics: an earnings power valuation favored by the Columbia School of value investors, as well as a discounted cash flow model. In both instances, my computations show a company capable of producing share price returns of 15-25%. PPC stock has been cut in half since the heady days of 2014. The stock peaked in December of that year at $37 per share and has fallen to $18.66. It briefly touched $17 in early December 2016. The decline represents a buying opportunity. Strong returns on capital make PPC an attractive investment. Returns on total capital will exceed 25% again in 2016. Returns on equity have consistently been above 30%. The addition of leverage is set to boost the equity returns even higher. 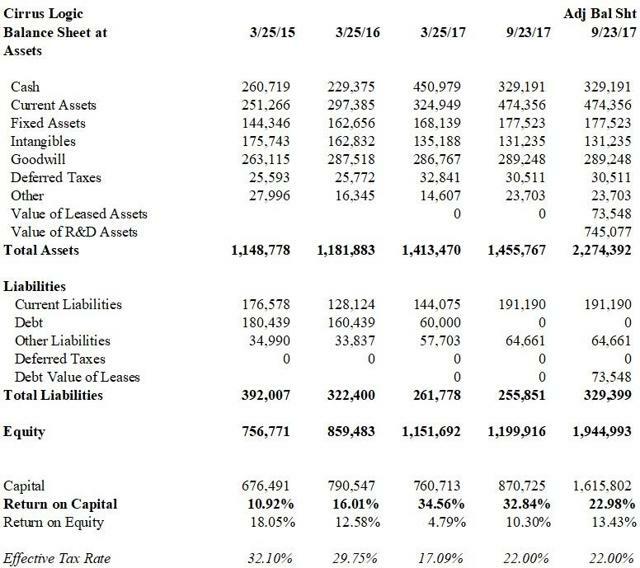 Note: The adjusted balance sheet adds approximately $86 million in capitalized operating leases to fixed assets as well as an offsetting addition to debt. For simplicity purposes, The $350 million GNP acquisition is added entirely to goodwill on the asset side and debt (line of credit) on the liability side. I was going to wait to post an article on Pilgrim’s Pride until after they announce quarterly earnings on the 9th of February, but the dramatic 4% drop Tuesday inspired me to rush to press in spite of the risk that my numbers may prove to be off-base by the end of the week. Notably, Wednesday morning, the price has rebounded above $19. This volatility reflects recent news from Tyson Foods (NYSE:TSN) as well as a fear of higher trade barriers. The Financial Times reported that Tyson has faced headwinds in their poultry business due to a variety of factors, including margin pressure due to the recent rise in the price of soybeans. More disconcerting is the revelation that the company is under investigation for chicken price collusion. If other industry leaders like PPC are shown to be involved, speculation about hefty fines and ethical challenges could place the stock under pressure. 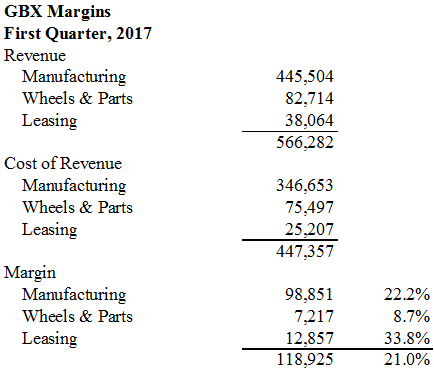 Like Tyson, operating margins have been declining. Following a peak of 14% in 2014, they dropped below 13% in 2015 and look set to barely surpass 9% in 2016. The recent decline in corn prices should help margins going forward, but soybean prices have not been as cooperative. The most striking aspect of poultry-related stock prices over the past three years has been the failure of markets to properly assess the benefits of the avian-flu outbreak. Poultry-related firms like Sanderson Farms (NASDAQ:SAFM) and Cal-Maine (NASDAQ:CALM) are but two examples where markets wildly overestimated the sustainability of conditions during 2014 and 2015. In fact, these years appear to be an aberration rather the norm. Margins and revenue levels were elevated to unsustainable levels in hindsight. Meanwhile, The Economist writes that talk of NAFTA renegotiation would have an adverse effect on PPC. Tariffs on chicken would render the white meat less competitive in the Mexican market if Mexico were to exit NAFTA. Agricultural states that rely heavily on exports to Mexico are worried about the potential loss of free trade. Mexico is certainly a concern. The decline in the peso is well-documented and PPC is facing adverse currency conditions. 18% of revenues are generated in Mexico, so unraveling NAFTA and continued dollar strength could weigh heavily on the business. The company has already paid out some big cash dividends on a one-off basis. In 2015, the company paid shareholders $1.5 billion, and then followed with another $700 million gift in 2016. PPC increased debt from virtually zero to over $1 billion during 2015 as a result. Borrowing to pay dividends is not necessarily cause for alarm for a company set to generate nearly $500 million in cash flow after capital expenditures, but it leaves a balance sheet that is slightly more risky. Indeed, free cash flow has dropped from a peak of $840 million in 2014. PPC is owned largely by JBS S.A. of Brazil. The world’s largest protein producer, JBS holds 75.5% ownership. Getting on board with a minority shareholding position presents the risks of potentially hazy corporate governance issues and the possible divestiture of stock by the Brazilian giant. On the other hand, a massive international player offers worldwide growth opportunities as well as the possibility of an outright acquisition. 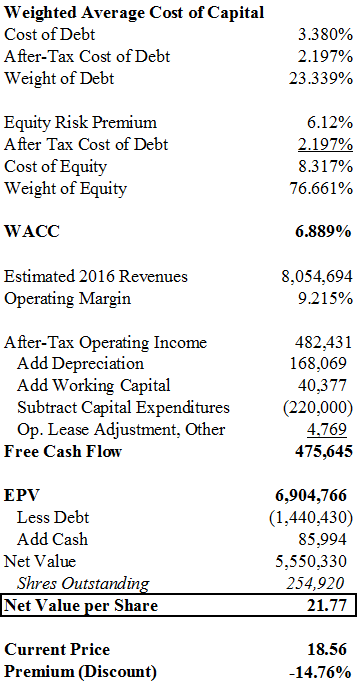 The weighted average cost of capital I employed for this EPV model is 6.94%. The cost of equity is 8.31% and the weighted average cost of debt on a post-tax basis is 2.20%. Debt represents less than 24% of capital. Earnings before interest and taxes will be around $742 million in 2016. 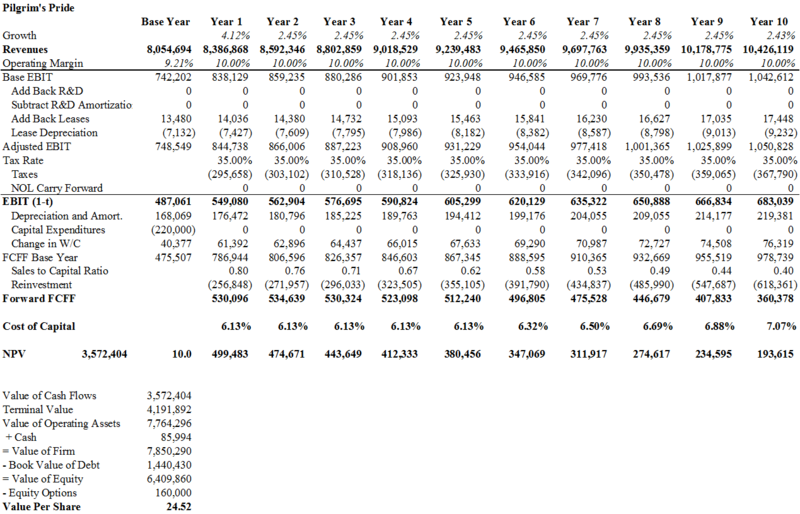 Using a 35% tax rate, subtracting $220m of capital expenses and adding $168 million of depreciation leaves a net free cash flow of $439 m. I added another $40 million of working capital to derive a steady-state free cash number of $475 million. Taken at the rate of 6.94%, the EPV is slightly less than $6.9 billion. Subtracting debt of $1.4 billion, but adding cash of $86 million, leaves a net equity value of $5.55 billion or $21.77 per share. Here the upside is much higher. I employed a beta of .80 and the weighted average cost of capital drops to 6.17%. I held operating margins flat at 10% and showed the revenue growth at the 2.45% 10-year treasury bond level. 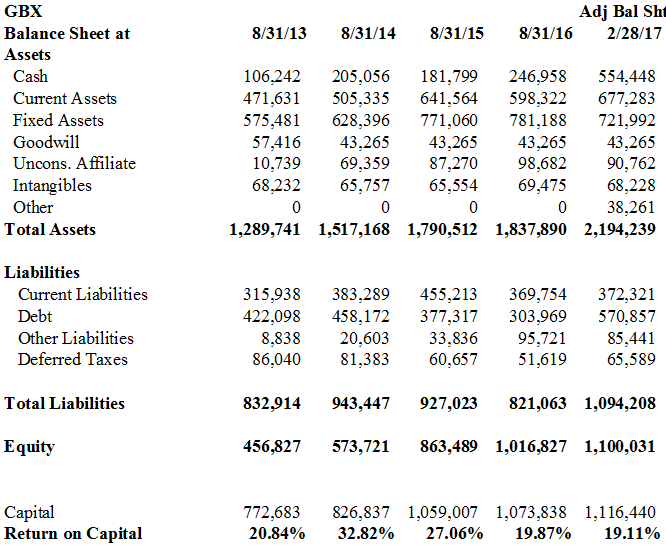 I show capital expenditures ramping up at a fairly aggressive pace. The end result is a value of $24.25 per share. This represents a 30% premium. DCF valuations are subject to so many variables that they are often decried as meaningless in so far as the modeler makes assumptions about a variety of future outcomes. However, it provides the author with another layer of confidence. The Pilgrim’s Pride story is a good one in spite of recent challenges. Ultimately, I believe the consistently high returns on capital and the growth of poultry in most diets will reward shareholders in the future. 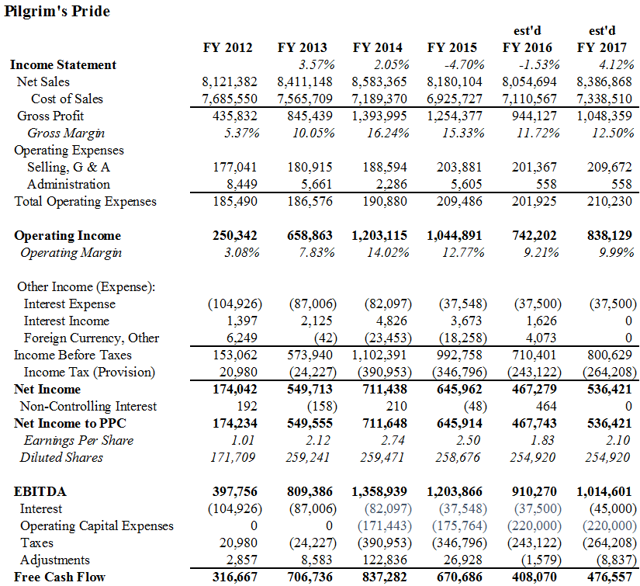 Appendix: Historical income statements, with the author’s estimate for 2016 and 2017. Disclosure: I am/we are long PPC. This article was originally published on Seeking Alpha on August 17, 2016. 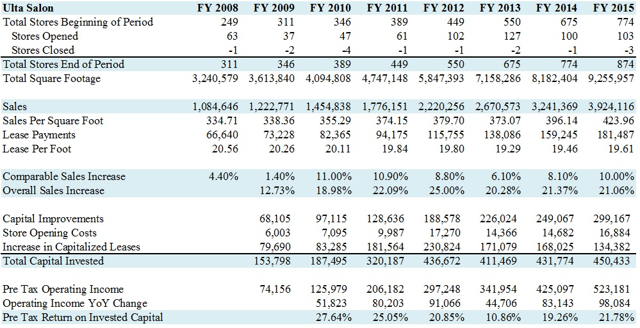 ULTA consistently posts annual sales growth of 20%, and the stock is up 175% in two years. But the stock trades at 50 times earnings and a 30% premium over its intrinsic value. Momentum seems unstoppable, but buyers must cautiously consider the downside risks. 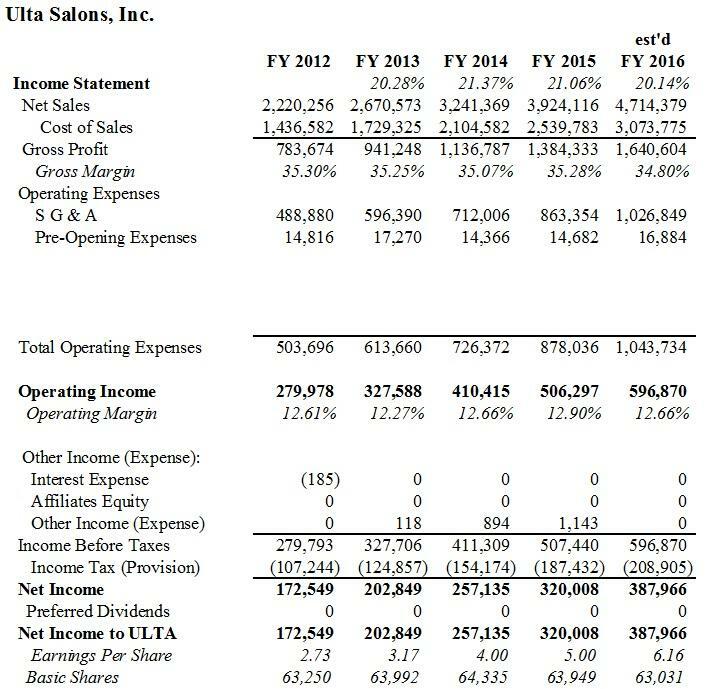 Ulta Salon, Cosmetics & Fragrance (ULTA) has been a phenomenal investment. Trading around $266 per share, the stock has risen 178% over the past two years. Can Ulta continue its outstanding run? Yes. However, there is a large difference between the words “can” and “should.” In this author’s opinion, Ulta is overvalued by more than 30%. Other authors agree. 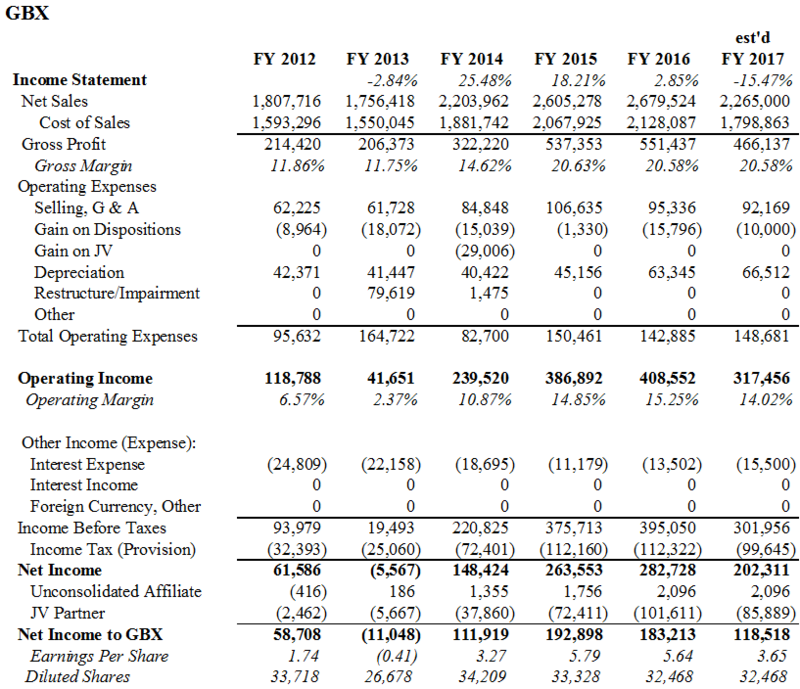 If you are new to Ulta, I recommend Vijar Kohli’s recent Seeking Alpha post for an understanding of the business. I will comment on valuation and leave the characteristics of the market and personnel largely out of this article. As one commenter boasted elsewhere, Ulta is a lot more likely to hit $300 than $200. The bullish sentiments are easily found among Ulta fans who have been downright contemptuous of bearish articles. And who can blame them? Shorting Ulta has been a sucker’s bet. The price chart is jaw-dropping. 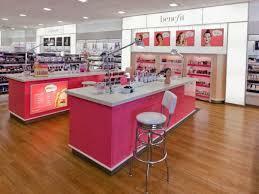 The story at Ulta has been a rollout of about 100 new stores per year since 2012. The chain reached 874 stores at the end of 2015 and plans to push towards 975 by year-end 2016. Unlike many expansion plays in retail where new store growth masks flat same-store sales, Ulta has posted some massive comparables in the 10% range for over 5 years. The new stores have pushed total sales growth in excess of 20% per year. A 35% gross margin and 12.9% operating margins have netted substantial gains. The chart below shows the growth trajectory. More importantly, I have compiled a return on invested capital by taking annual capital improvements, new store start-up expenses and the annual change in capitalized leases. 20% returns on capital (pre-tax) have been posted, on average, annually. 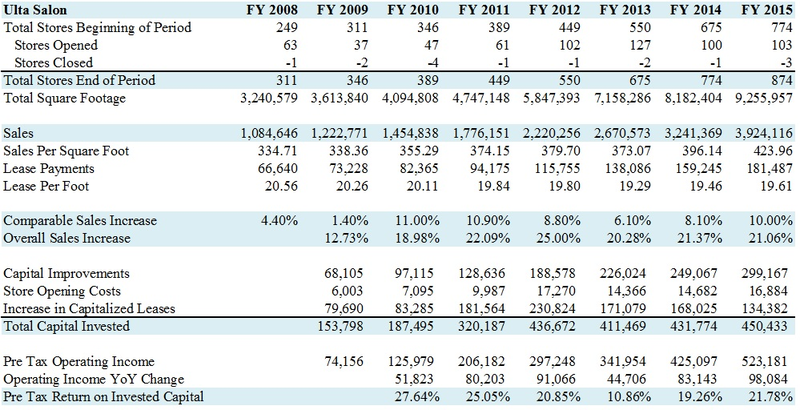 For a company with no debt (if you exclude capitalized operating leases of $1.5 billion), the returns are fantastic. Sales per square foot have reflected improved customer loyalty programs and the introduction of more luxury cosmetic brands. Ulta has been a buyer of its own shares and paid surplus cash as dividends in 2015. Ulta will announce earnings on August 25th and should extend its streak of stellar quarters. I have read comments by Ulta bulls calling for bearish authors to back up their sentiments with a short position. 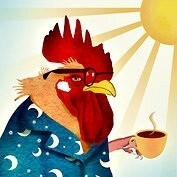 To my bullish friends, I confess that I count myself among the chickens. To go against a momentum stock that has no apparent speed bumps on the horizon would be a fool’s errand. The largest threat to Ulta is a dramatic slowdown in consumer spending, but improving job reports and expanding wage growth paint a positive macroeconomic picture. Therefore, I offer my valuation as a caution flag to those who may be interested in entering a new position at Ulta or the lucky ones who have been on a one-way ticket to riches and may be considering a removal of chips on the table. 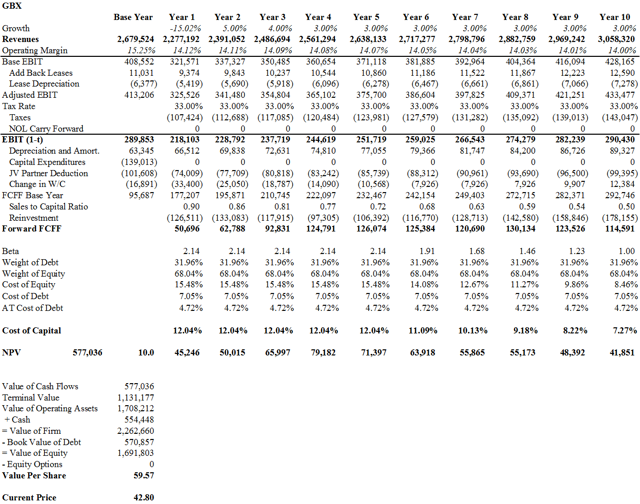 I present below a discounted cash flow analysis that results in a valuation of $207 per share. Let’s talk about the base of the model: management expects comparable sales growth between 10-12%. I add about $360 million from new stores to arrive at overall 2016 sales growth of 20%. Operating margins are expected to be slightly lower but still above 12.50%, and earnings will grow 20-22% to over $6.15 per share. Looking forward, the model assumes consistent margins above 12.50% at the operating level and growth on the top line slowly tapering from its heady 20% annual rate. 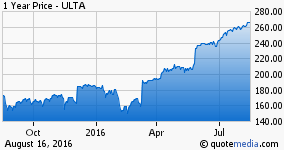 I give Ulta the benefit of the doubt with a very low weighted average cost of capital of 5.36%. I have also given Ulta a generous assumption that working capital will be positive in the future. The company has wisely expanded through relatively low capital investments – stores are all leased. However, each new store requires a large investment in inventory. 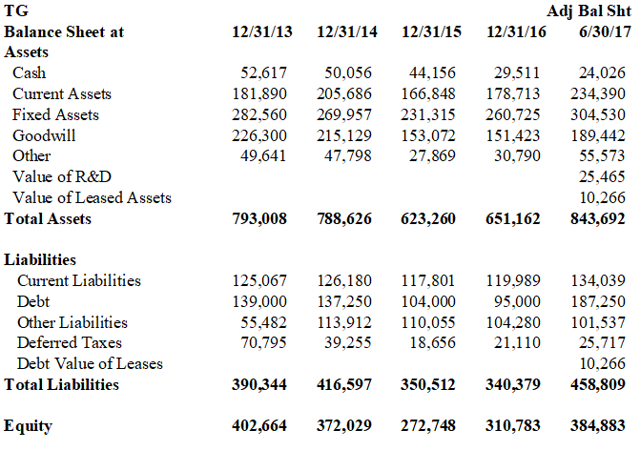 In this regard, working capital turned significantly negative in 2015. Failure to move product efficiently could prove to be a drag on future cash flow. For purposes of my model, I do incorporate a positive working capital trend in Ulta’s favor. A second word of caution can be found within the capital improvements line item. Management has announced that capital improvements will exceed $390 million for 2016 – up from an original projection of $300 million. The company has embarked on a plan to showcase the introduction of new luxury brands. Not surprisingly, higher-end cosmetic brands have a desire to be presented as a distinct upgrade from the typical fare that can be bought at your neighborhood CVS (CVS), Walgreens (WBA), or Target (TGT). The buildout of exclusive store displays has become a necessity. Investors should be vigilant about future capital expenditures. Third, competitors aren’t going to sit back and relax. Macy’s (M) may be derided as a dinosaur, but it won’t go down without a fight. As Ulta pushes into the luxury categories, Sephora will push back. 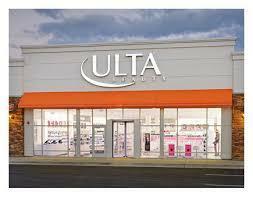 Finally, Ulta has built its brand on the back of less expensive and widely available cosmetics, by offering better service and a dynamic sales environment. But for the busy shoppers, it’s very easy to pick up an inexpensive eyeliner brush while picking up a carton of milk. 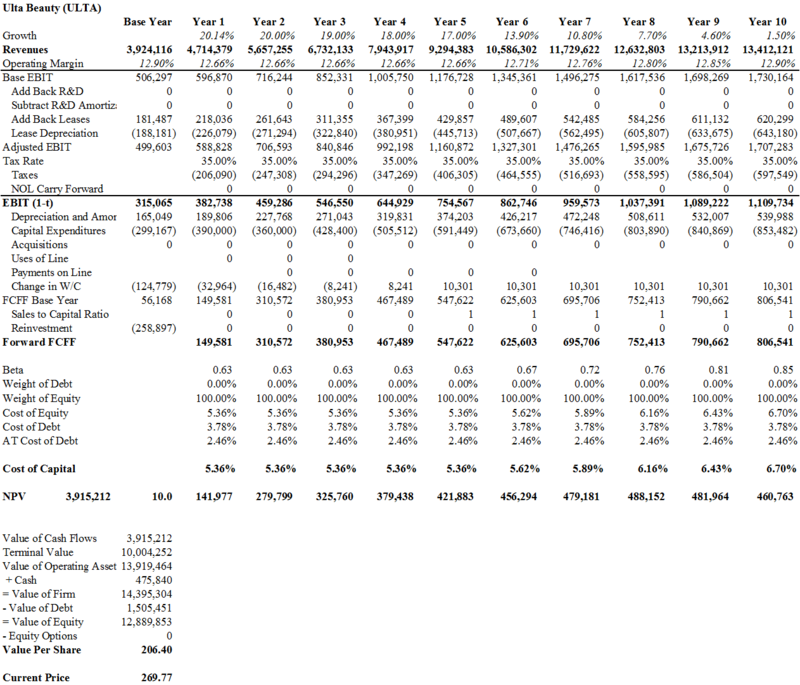 Finally, to those of you who scoff at DCFs and their widely variable inputs, I offer more mundane estimates of value (or over-value as the case may be): Ulta trades at 44 times 2016 earnings and 25x forward EBITDA, and it offers a pre-tax earnings yield of 3.09%. By any measure, these metrics are in the stratosphere. Tread carefully. 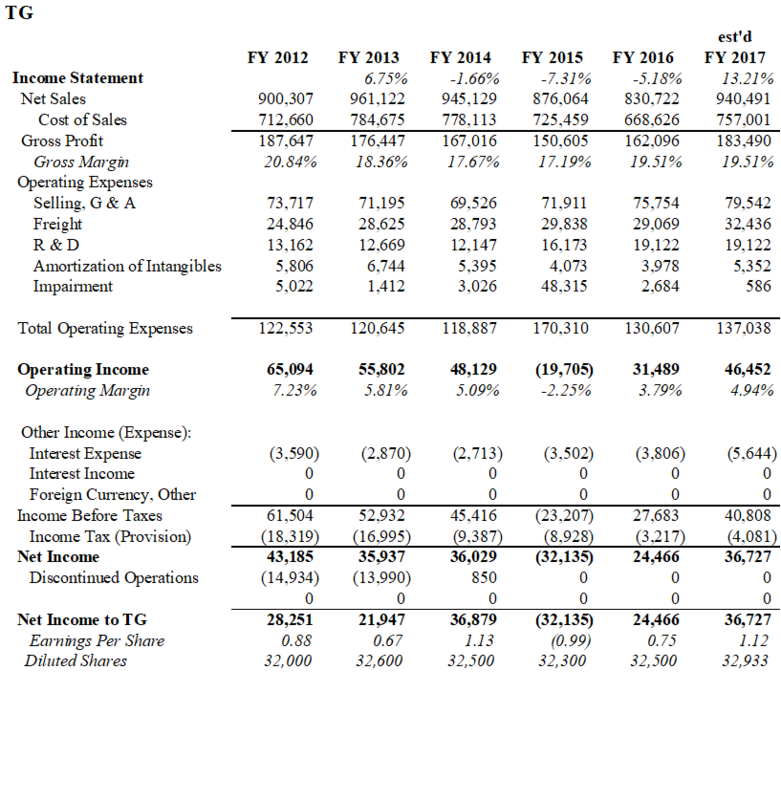 Exhibit: ULTA Income Statements with author’s 2016 estimate.